Situated in the west end of Toronto, Etobicoke is home to a wide range of diverse, thriving neighborhoods, and even some commercial areas. It’s no wonder you’re looking to settle in this area and call one of its contemporary neighborhoods your new home. Our promise at Well Built is a smooth and exciting transition to living in Etobicoke. 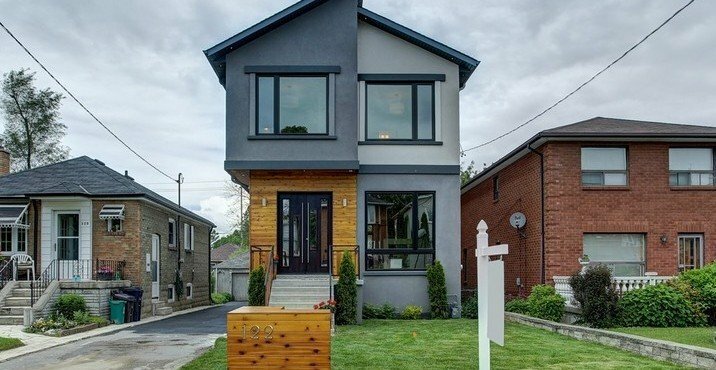 We start with designing your dream home to incorporate all the lifestyle features you need to make yourself feel at home in this part of Toronto. Beginning with a vision of your dream home, until it finally stands and you can move in and begin the rest of your life, Well Built is committed to supporting your journey with a full suite of custom home building services. On top of that, we strive to keep you excited and informed with every phase of the development of your dream home, starting with design, until you can finally move in! At Well Built, our team knows what your dream home means to you; it’s not just an accumulation of features you can’t live without. Rather, it is your creative vision, ideas, and style come to life. By combining your ideas and style with trademark architectural practices, our architectural drawings will reflect not just the features your new, modern home comes with; but on a larger scale, a cohesive integration of your lifestyle. To bring your dream home to life, we ensure that all necessary building and other permits necessary to begin construction are properly prepared and approved. At Well Built, our team is committed to making your transition to a new neighborhood in Etobicoke, and lifestyle as easy as possible. This includes ensuring a smooth approval process of all building permit requirements, culminating in a timely completion of your custom built home. Our best ideas will only flourish in an open and honest dialogue. As a future homeowner, we constantly encourage you to remain transparent with us throughout the entire construction and design of your custom built home. We value your input in all aspects of the project, including the design specifics, up to your budget, and how much you can comfortably allocate for your dream home. We are committed to remaining open with you in discussing your style and the best possible design features your new home, based on your budget. From the initial consultation onwards, we will strive to present you with possible design options; as well, we look for opportunities for saving costs, to ensure a smooth construction, and a responsible allocation of your most important investment. By keeping communication channels open, we can smartly balance design features you wish to enjoy, with a lifestyle you can sustain in this part of Toronto. 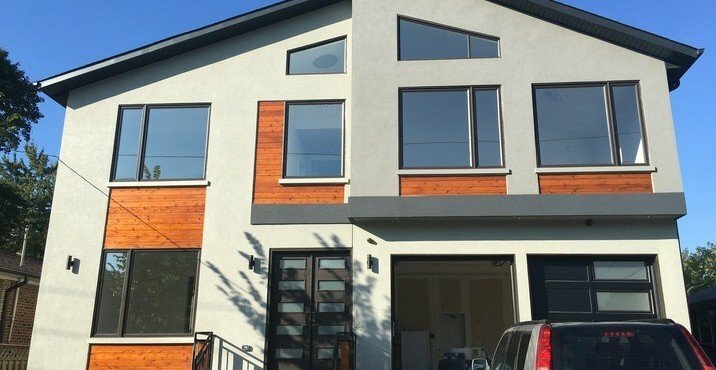 With our goal of building modern homes comes the challenge of possibly outdated and restrictive zoning by-laws. From our end, we ensure that our designs support your lifestyle, but are still within reasonable limits of the zoning by-laws in this part of Toronto. 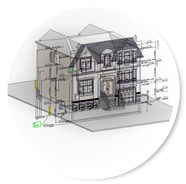 Our extensive experience in the intricacies of adhering to specific zoning by-laws in Etobicoke can ensure a smooth construction of your custom built home. 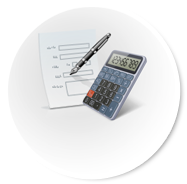 With our knowledge and expertise, we can advise you on features that the zoning by-laws in your area cannot allow, or can be circumvented by obtaining approval for minor variances. 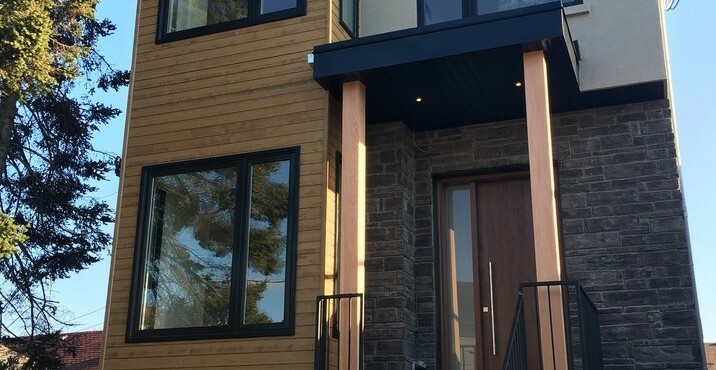 In the end, we will deliver you a custom home that incorporates as many of allowable design features that support your modern lifestyle in Toronto, through minor variances that allow us to better work with the zoning requirements in your neighborhood. 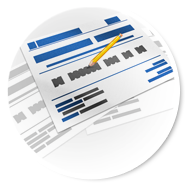 Upon the issuance of the building permit by the City of Toronto, our team of will promptly deliver to you all the documents as a complete package. The survey, floor plans, elevation drawings, section drawings, structural plans, HVAC plans, and truss designs will be signed and stamped. With these will come the building, demolition, plumbing, drainage, and HVAC permits approved by the Committee of Adjustment, Ministry of Transportation, and the Urban Forestry and Tree Department (when applicable). 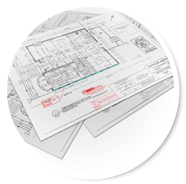 You can trust that we will work to deliver approved drawings and permits in a timely fashion, while working within your budget. With this, we can promptly begin building your dream custom built home, and your lifestyle in Etobicoke properly supported. Work with us to realize your unique, personal vision for your custom built home in Etobicoke. Call us at 416-882-4606 to get started!